There was a time when European kings were given the cold shoulder in India, received as subordinates by the Mughal (Moghul) emperors and even though India is generally seen as a poor, dirty and chaotic place by the average Singaporean today, it is important to note that there was a time when India was a land of extravagance, precious stones and spices, monumental structures and powerful armies. Claiming descent from Mongol conqueror Genghis Khan while adopting a Persian culture and Islam, the Mughals descended on the fertile Indian plains from the harsh climes of Central Asia. A unified force among disparate kingdoms and warring factions, the small Mughal army led by Babur surprised the Indians with Turkish cannons and muskets, defeating Ibrahim Lodi of the Delhi Sultanate at the First Battle of Panipat in 1526 CE, thus founding the Mughal Empire. The foreign occupying force continued to spread its wings, importing Persian princesses and absorbing Indian concubines to gain a permanent foothold in Indian society. 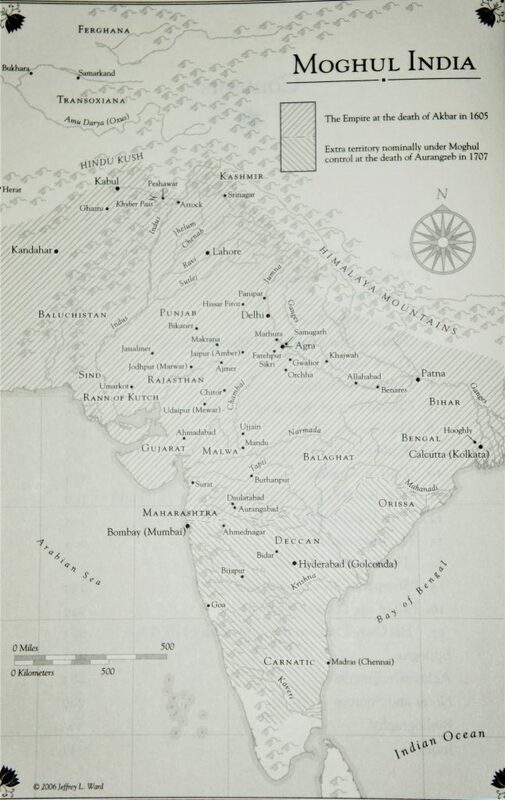 The domain of the Mughal empire after the reign of Akbar the Great stretched from present-day Afghanistan to West Bengal, going all the way to the southern tip of the Indian subcontinent. 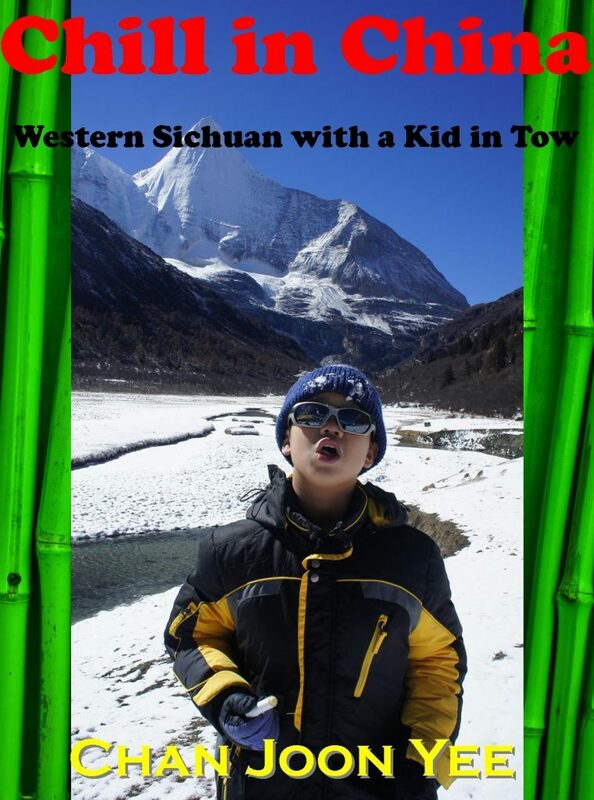 It was the second largest empire in the world after Ming China. Eagerly exploiting India’s abundant resources, hedonism and extravagance know no bounds in the Mughal court. While Islam discouraged the construction of lavish tombs, the Mughals were well known for breaking the rules, building magnificent tombs, not just to remember great rulers but also tto ensure that the people’s respect for the genealogy lived on. The same principle is still being applied in many instances today. Evidence of the great wealth and opulence of the Mughals can be still be found all over India today. 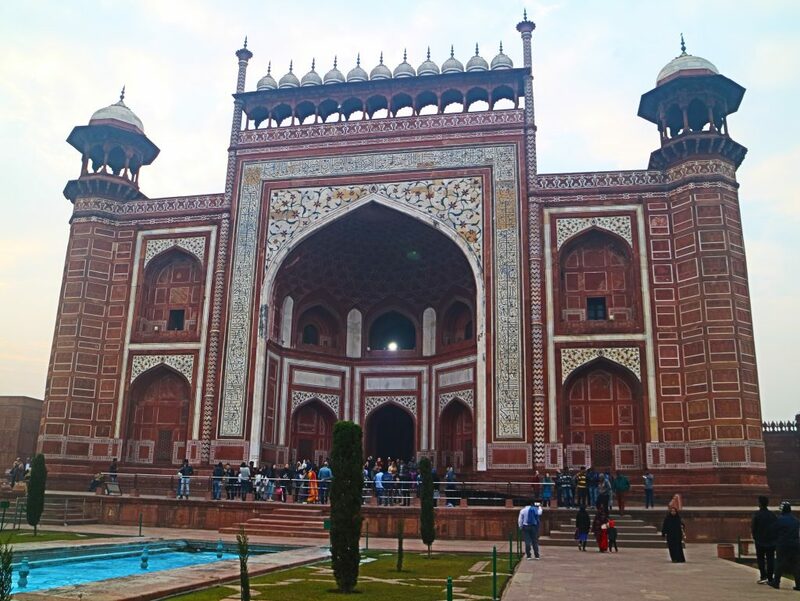 From mosques to tombs and forts, the Mughals made grand statements with them. 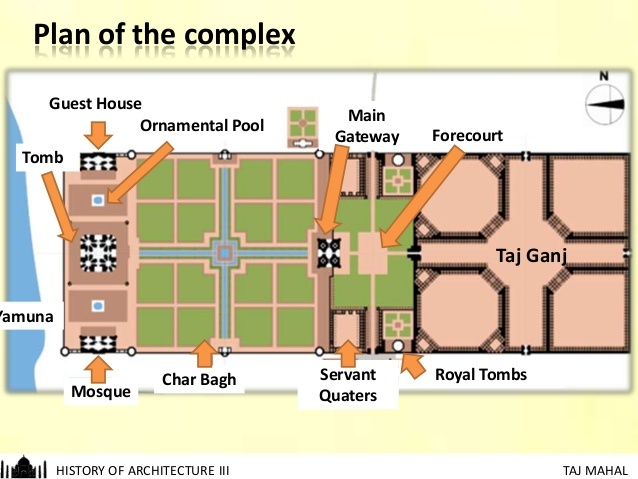 And perhaps the most charming and spectacular statement ever made with a building, is the one that Mughal emperor Shah Jahan made after the passing of his third wife, Mumtaz Mahal. Beauty can be expressed in different forms, colours, tunes and languages. The beauty of the Taj Mahal lies in its ability to project an image of dazzling melancholy. It is a mausoleum built out of a very powerful man’s mourning for love lost. 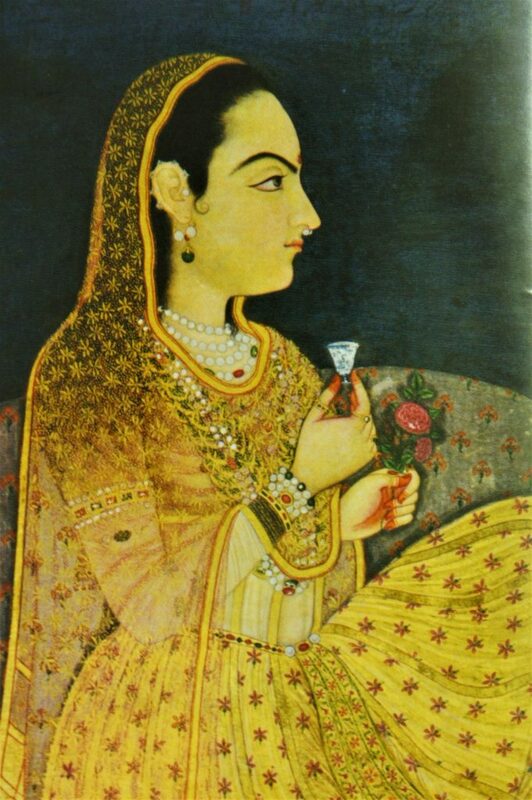 Shah Jahan was determined to show the world how sad he was, how much he still loved his queen. The Taj Mahal is constructed in an area 580m x. 305m. The main building stands on a platform 295m x 111m, built to a height of 50m. The four minarets stand at almost 42m each while the height of the main dome is 73m. Construction of the mausoleum began in 1632 and it took an international team of 20,000 craftsmen and 1,000 elephants almost 20 years to complete, although the mausoleum itself was ready by 1643. The gardens surrounding the Taj took another 5 years, followed by the mosque (on the left) and the identical-looking royal guesthouse (on the right) which took another 3-4 years. Ustad Ahmad of Lahore is often credited as the chief architect involved in the Taj project. 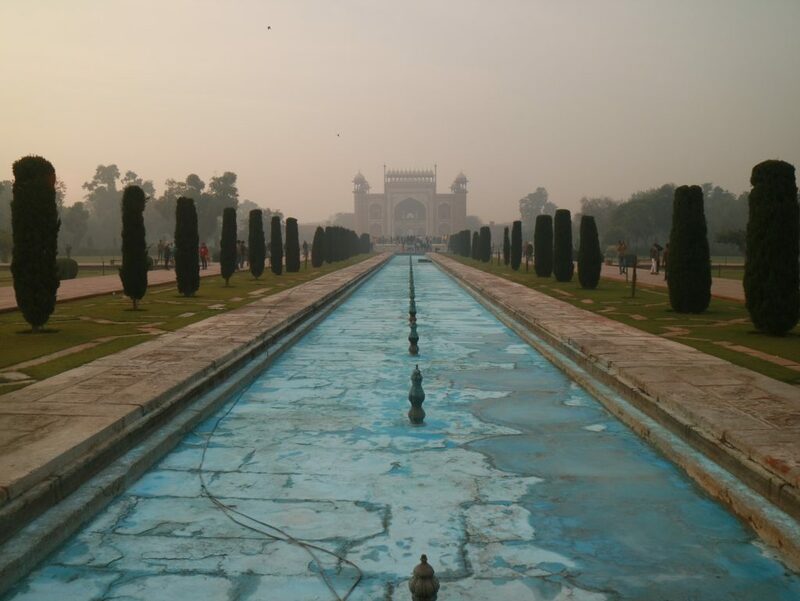 In line with the Mughal identity, the Taj Mahal is understandably more Persian than Indian, with its gardens and pools. The main structure is the tomb which stands above everything else. With its 4 perfectly symmetrical minarets, it is raised on a platform with the sky as the background. 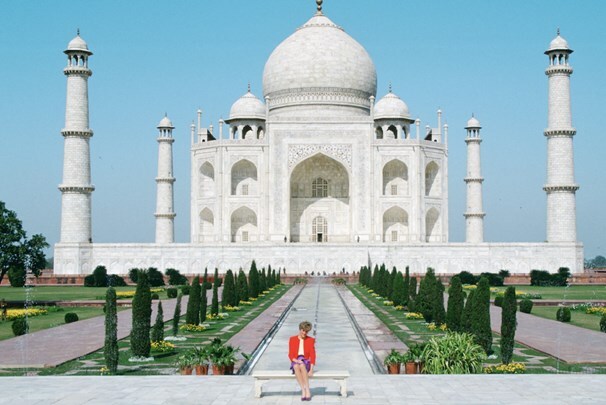 As it stands, not even the late Princess Diana could get people to move and carve 12,000 tons of marble and precious stone for her sake. Shah Jahan’s commitment was legendary. 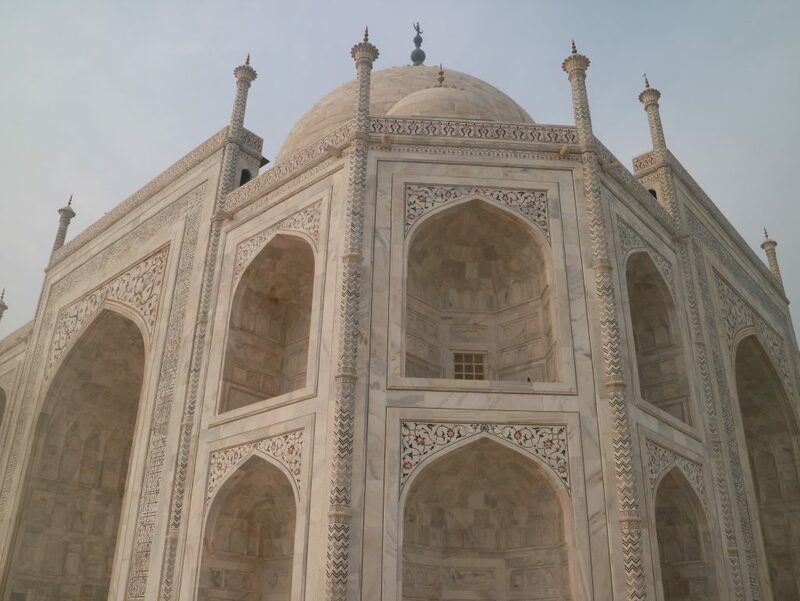 I had wished that the Taj Mahal could be like Darjeeling tea or 大红袍，普洱 which few Singaporeans too used to cheap Malaysian blends and mediocre jasmine tea can appreciate, but unfortunately, the Taj’s appeal is quite universal. On a “normal” day, some 20,000 visitors walk through the gates of the Taj Mahal. 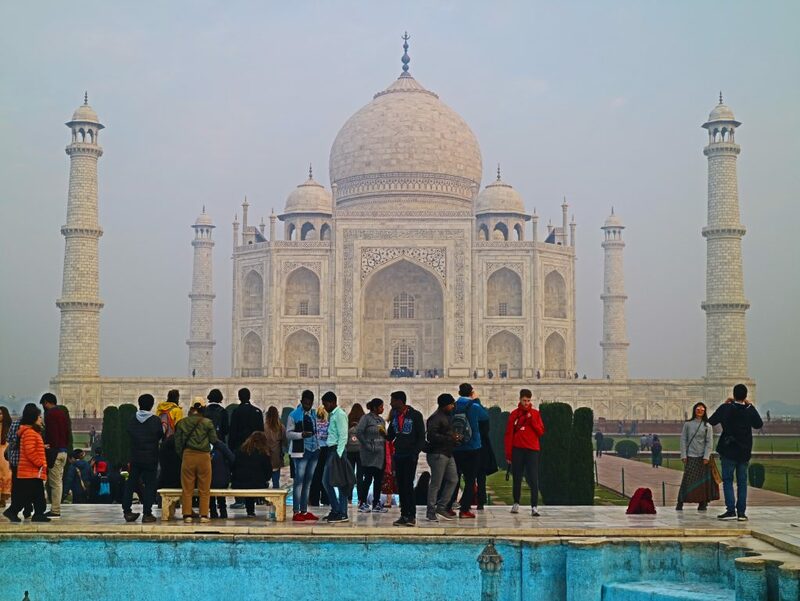 On major holidays during peak season, the Taj can see some 70,000 visitors. At this time of writing, only the East and West gates are open. Most tour groups enter via the West Gate while independent travellers enter via the East Gate. 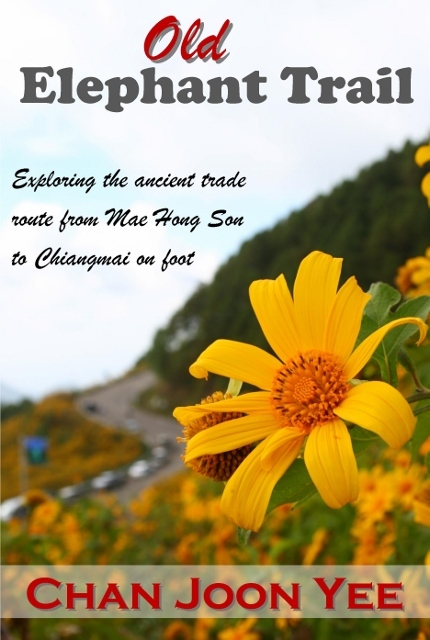 Visitors are limited to 3 hours and local tourist numbers are capped at 40,000 a day. 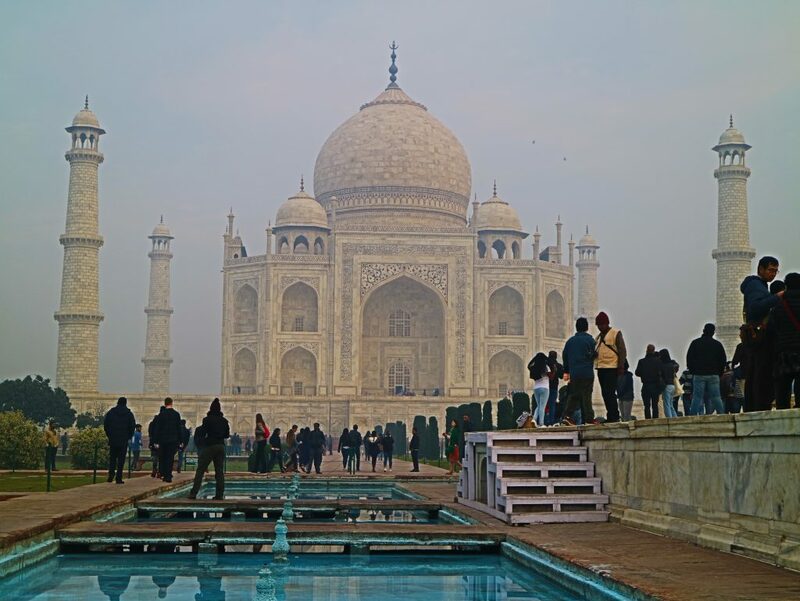 Sadly, it takes more than 3 hours (ideally an entire day) to properly appreciate the Taj and it certainly doesn’t help when the place is plagued with photobugs and Instagramers with their mobile phones, selfie sticks and cheesy poses. With family in tow (more like family towing me), I was inadvertently drawn into the tacky tourist fold. We hired a guide (a very decent guy by the name of Raj Kumar) and I was the only one asking him questions and listening to his explanations while keeping an eye on family members who could get lost in the crowd. 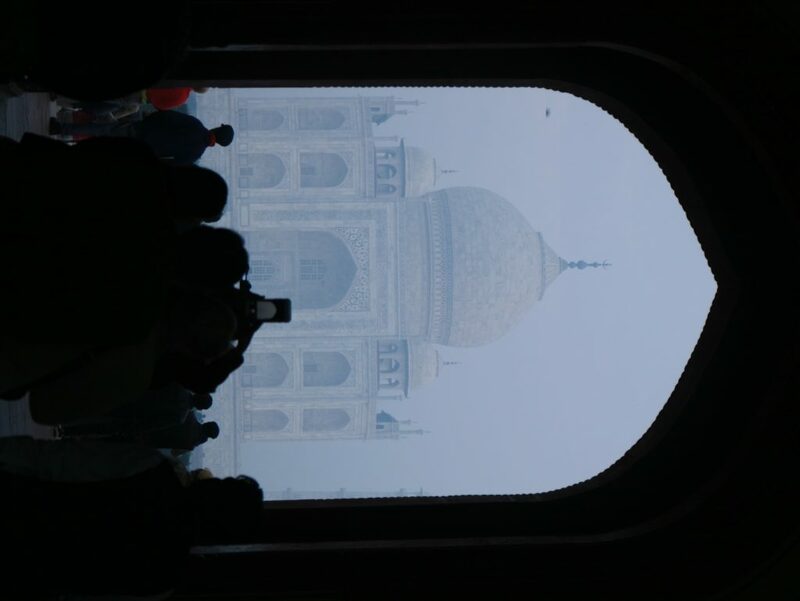 I was there with the wishful thinking of appreciating the Taj, but the distracting spectacle of children running around, Thai women jostling for space in their highly contrived sari outfits, Chinamen loudly counting the ways to keep Hong Kong and Taiwan in line and my own family going off in different directions made me wish I could freeze time and explore the place on my own. The main gateway into the Taj leads to a garden which could have been so beautiful with water in the reflecting central pool instead of people everywhere. There are supposed to be two lengths of crisscrossing pools bisecting a square garden in the foreground of the Taj. 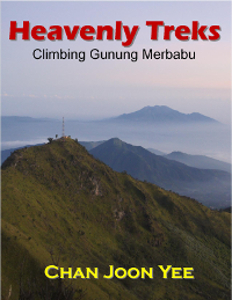 You need to put on your shoe covers before you can step on the main marble structure 295m x 111m . Stairs from left and right lead the way to a smooth and spacious platform on which the main dome and the 4 accompanying minarets stand. 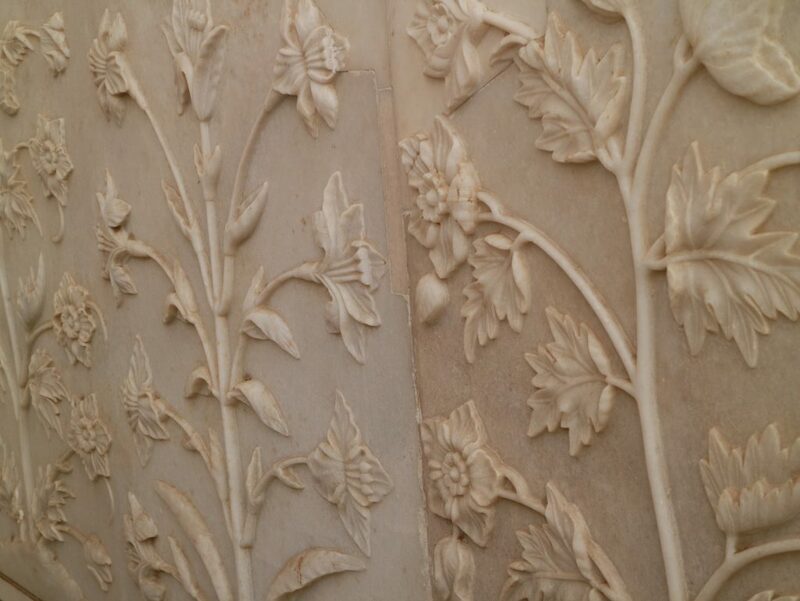 It’s all marble and shows Incredible India at its finest and most exquisite. From a distance, the towering minarets appear to lean outwards. Some speculate that it’s a deliberate design which allows the minarets to fall outwards and not damage the Taj in the event of an earthquake. 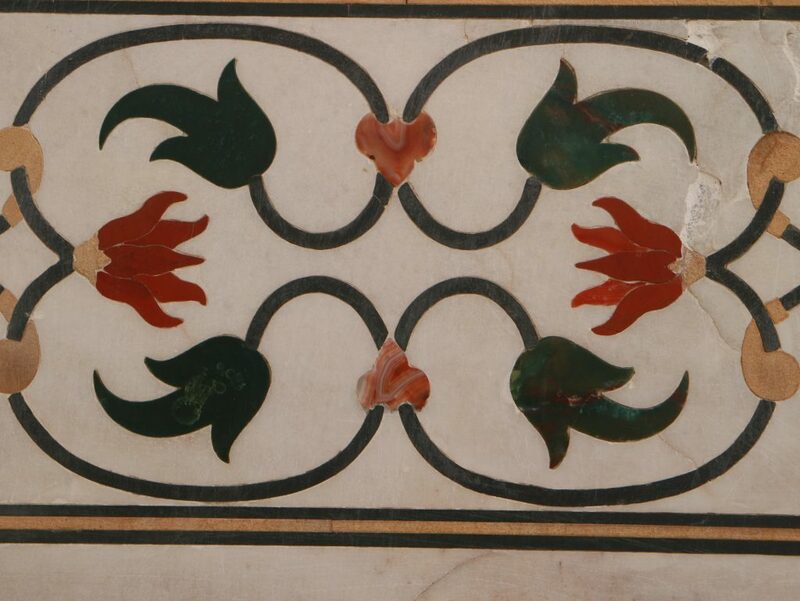 The colourful patterns on the marble are not painted. 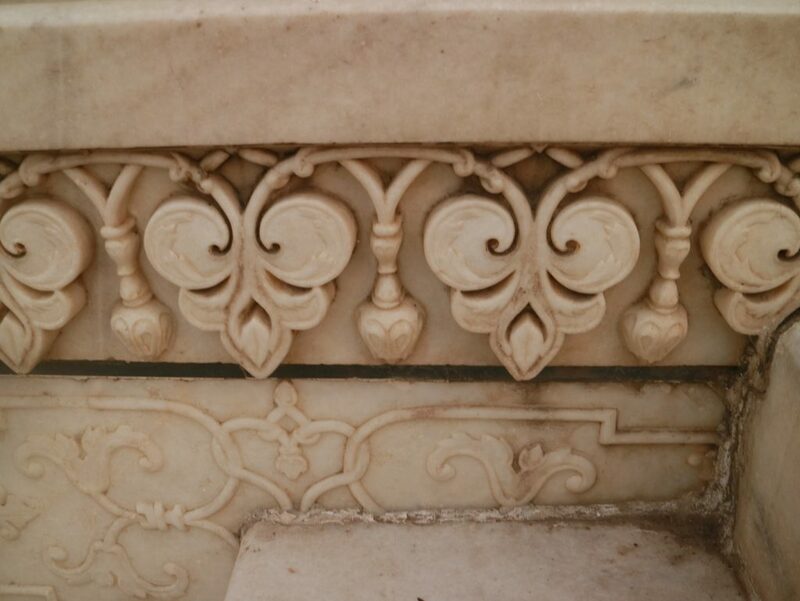 They are semi-precious stones precisely inlaid into prepared cavities in the marble. Casting a wax pattern with molten metal is tedious enough. 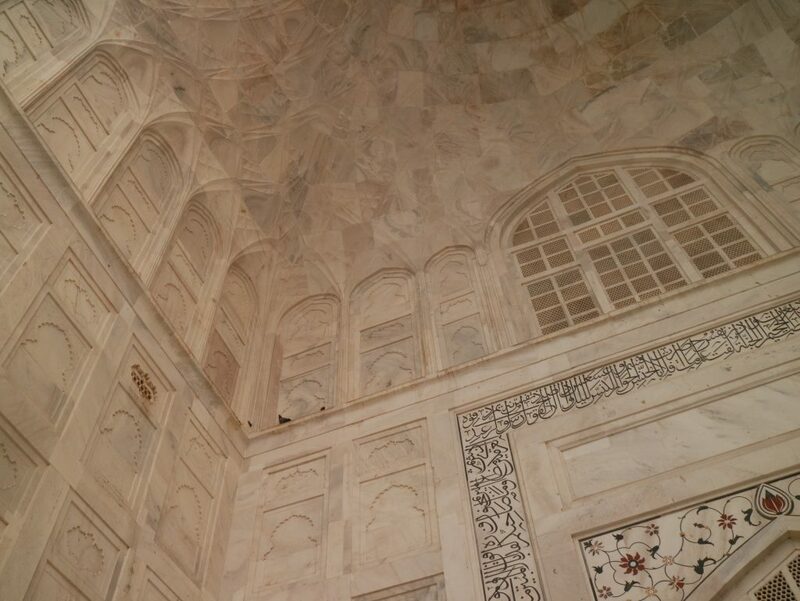 Imagine the time and effort the artisans put into inlaying colourful stones into white marble. Believed to be imported from Europe, this type of mosaic work is called pietra dura in Italian. 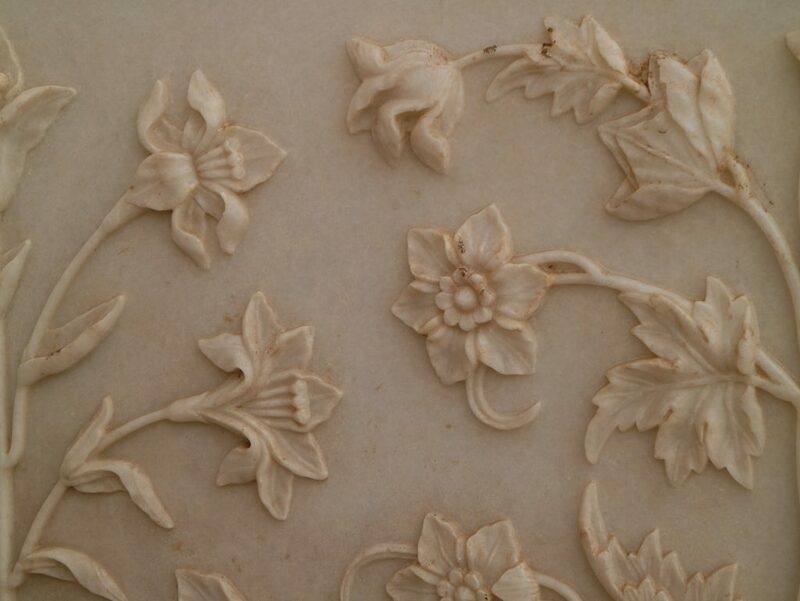 The translucent white marble was brought from Makrana, Rajasthan, the jasper from Punjab, jade and crystal from China. The turquoise was from Tibet and the Lapis lazuli from Afghanistan, while the sapphire came from Sri Lanka and the carnelian from Arabia. In all, 28 types of precious and semi-precious stones were inlaid into the marble. The tomb that tourists are allowed to see (no photography) is largely symbolic with the actual tombs hidden in a basement beneath, but it’s still rather awe-inspiring. The two representative tombs are surrounded by intricately carved marble screens forming an octagon around the symbolic sarcophagi. It’s a pity that the interior is rather dim and no flashlights are allowed (probably out of respect for the deceased), otherwise, it would have been a wondrous sight with all the opalescent marble and glittering gems. After exiting the tomb area, you can check out the royal guest house before leaving the compound. 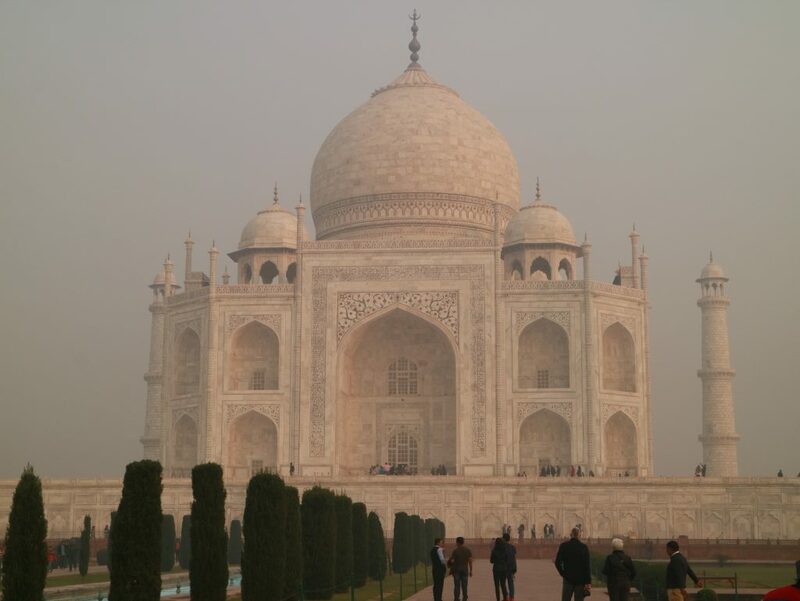 The current price tag, if you wish to build something like the Taj Mahal, is close to $1 billion. Who would dare to say (especially in front of one’s wife) that the money could have been put to better use? It’s always good to have a guide (standard fee Rs 1000), but the “professional photographer” can be a real rip off, charging $200 for a 1.5 hour session, 200 prints and a CD. 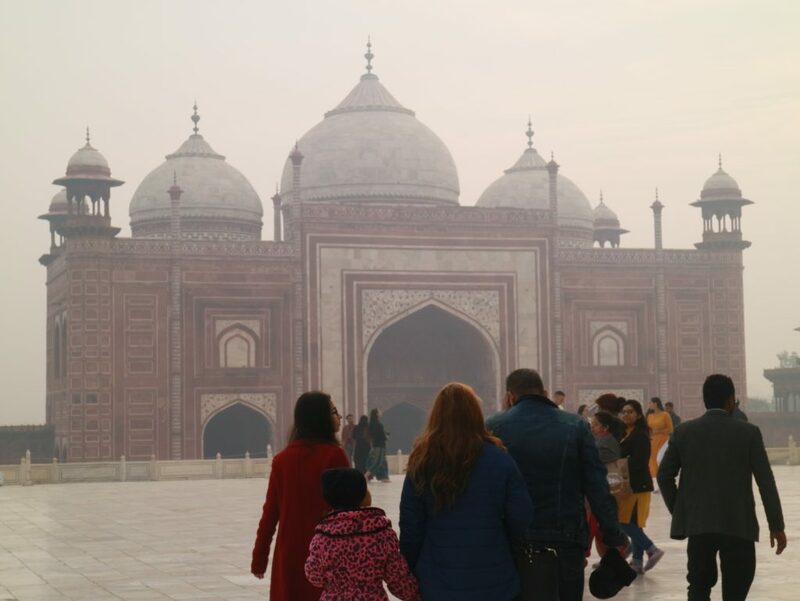 Go on a weekday – except Friday when the Taj is closed to visitors. The queues at the East Gate are shorter. There is one counter to buy your ticket and another to collect your free bottle of water and shoe covers. Skip the sunrise rush if you come during the foggy winter and do not buy the phony “fast track entry” ticket. There was hardly any queue by 10am when I was there. You can’t make it for the sunrise view if you come on a day trip from Delhi, but it’s perfectly OK to come on the Gatiman Express, take a taxi from the train station and enter at about 10.30am without joining long queues. The Gatiman Express departs from Agra to Delhi at about 1750. The convenience of a stay at the Sheela Hotel has been greatly over-rated at Trip Advisor. One problem with Sheela is that taxis can’t bring you there. It’s a 1km walk from the barrier. No doubt it’s just a 100m walk to the East entrance from Sheela, it’s just a bit further from some of the hotels at Taj Ganj where taxis can reach directly and there are many practical amenities like restaurants and travel/transport agencies unlike the souvenir shops outside Sheela. 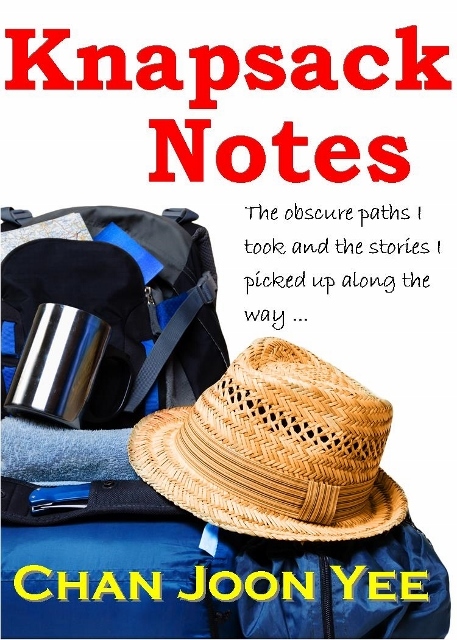 I have written a detailed review of Hotel Sheela at booking.com. 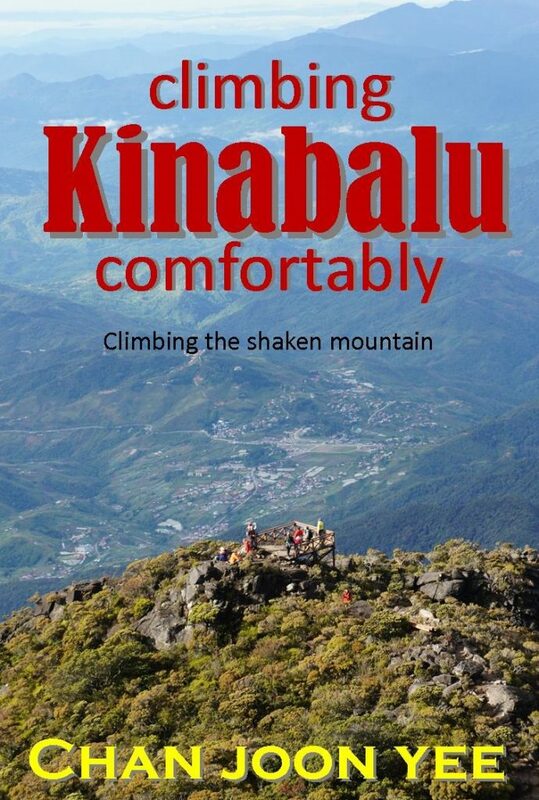 Do check it out if you happen to be booking as well.